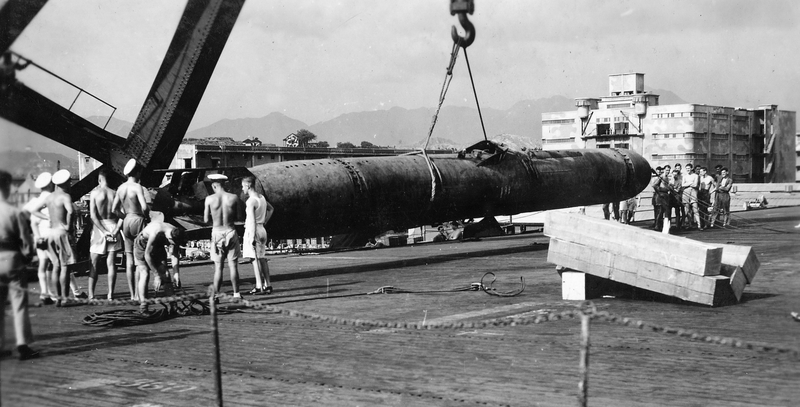 The torpedo was the greatest single game-changer in the history of naval warfare. 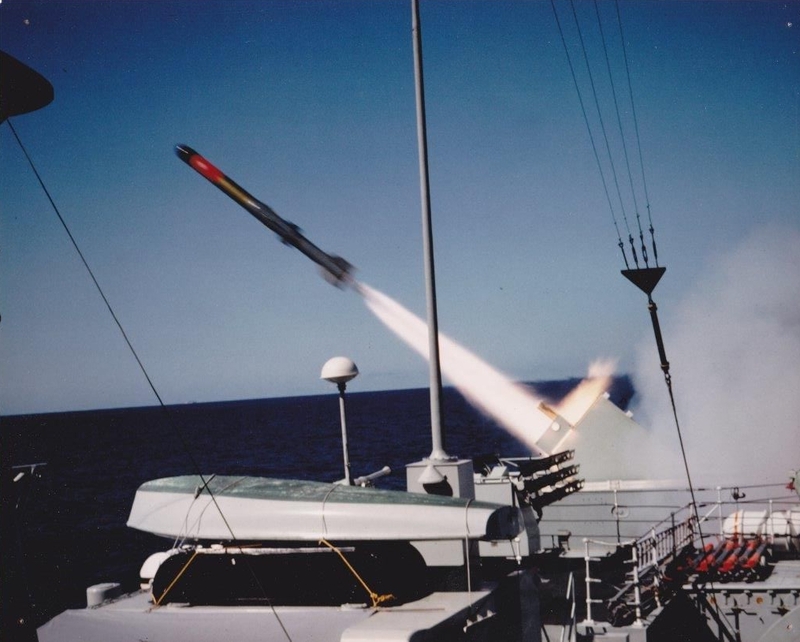 For the first time it allowed any small, cheap torpedo-firing vessel – and by extension a small, minor navy – to threaten the largest and most powerful warships afloat. 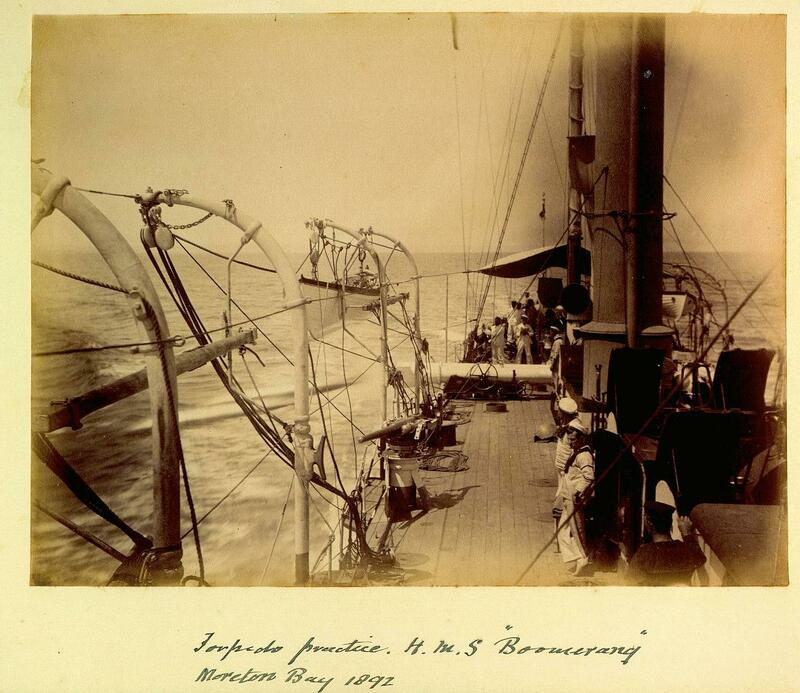 The traditional concept of sea power, based on huge fleets of expensive capital ships, required radical rethinking. 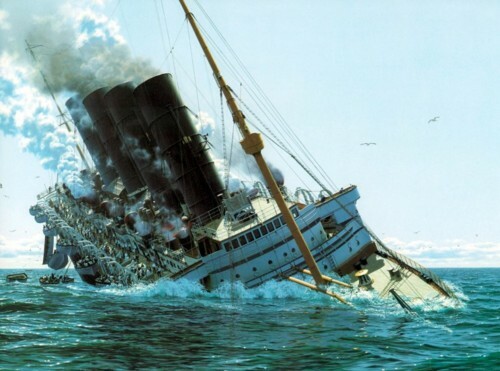 It had long been understood that the most effective way of sinking a ship is to make a hole below the waterline, but centuries of experiments had failed to produce an effective method of achieving this. 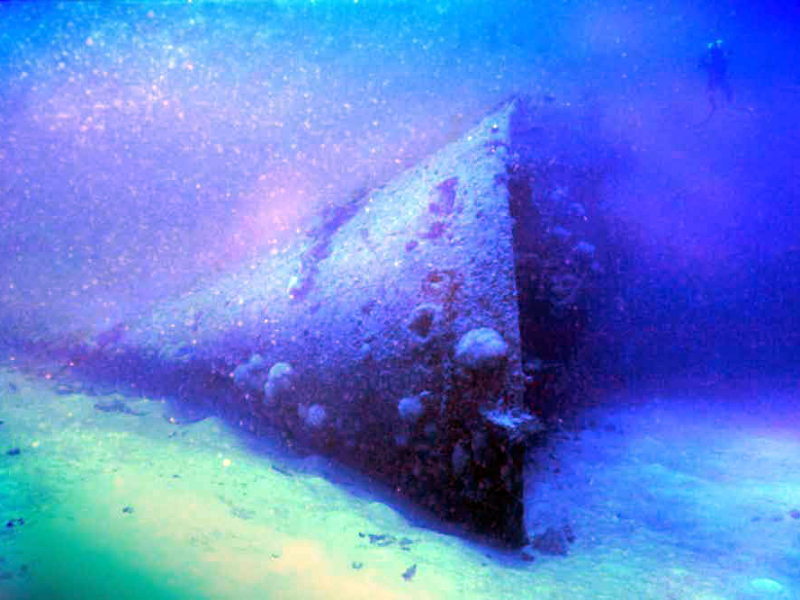 After many false starts and developmental dead ends, the answer proved to be the ‘locomotive’ or self-propelled torpedo, which became a practical proposition in the late nineteenth century. 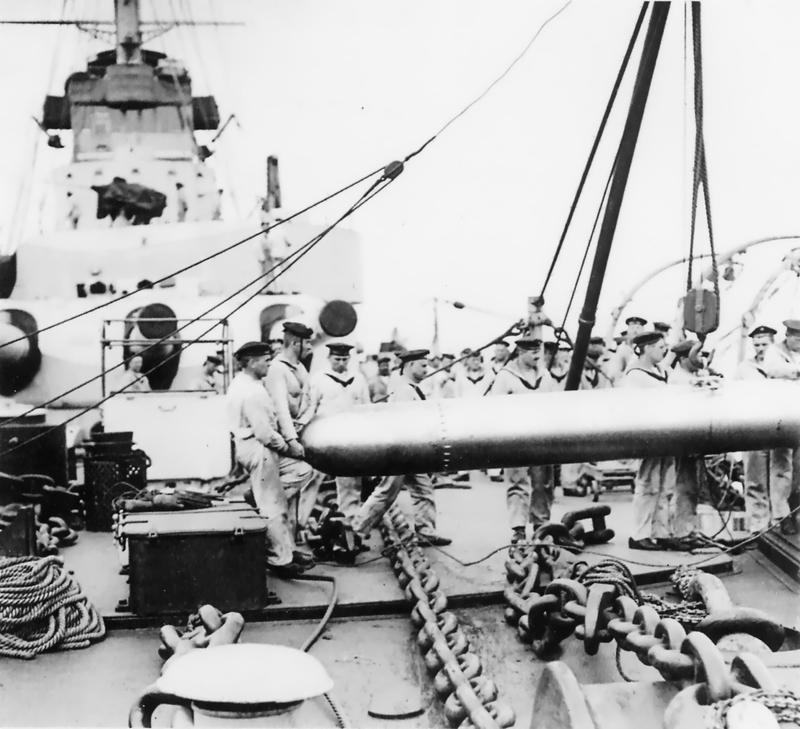 This book is a broad-ranging international history of the weapon, tracing not only its origins and technical progress down to the present day, but also its massive impact on all subsequent naval wars. 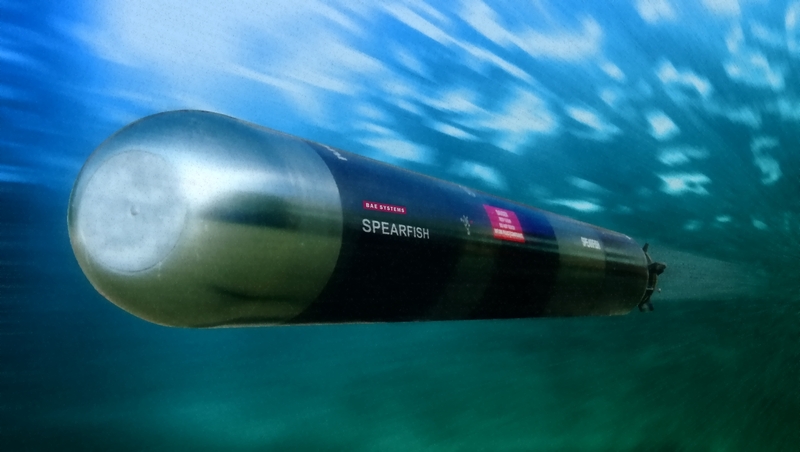 Torpedo is the first dedicated study of this highly significant subject for over thirty years, a period in which much new information has come to light and the capabilities of the weapon itself have improved beyond recognition. The planned Austro-Hungarian copy of the Barchino Saltatore. A colour view of Francesco Franchi’s superb model of the Mignatta, similar to the B&W view on page 25. 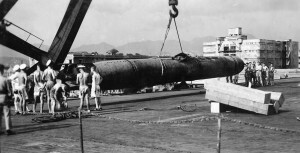 RN Carrier HMS Speaker loads Kaiten Type 2 or 4 at Hong Kong in 1945. 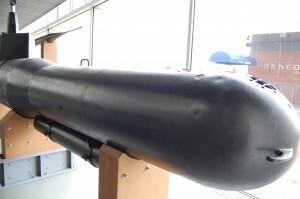 It is possible this is the Kaiten held by the RN Museum in Portsmouth. USS Mississinewa on fire and her wreck today, sunk by Kaiten attack. Described on page 28. Kaiten Type 10 preserved in the Yamato Museum. 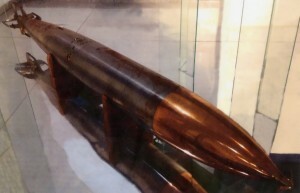 What is possibly the Whitehead 1868 torpedo, shown on page 37. An interesting twin prop torpedo, possibly an experimental comparison with the in-line contra-rotating type, seen in the Split Naval Museum. Photo courtesy of Erwin Sieche. 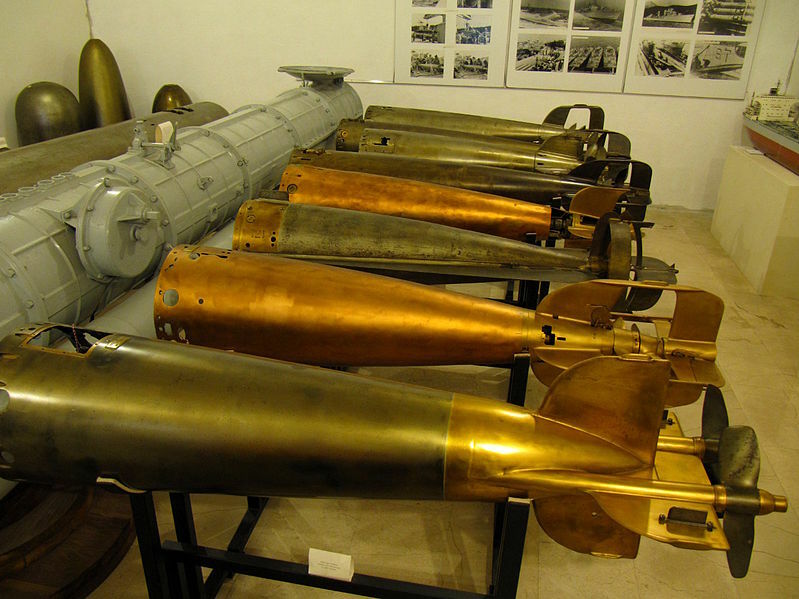 The twin-prop torpedo with other exhibits in the Aladdin’s cave in Split Naval Museum. 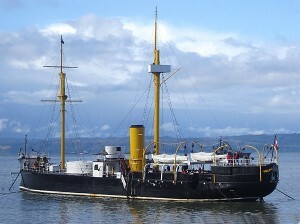 A colour version of the Whitehead shown on page 39. 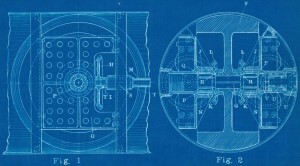 The cutaway Whitehead shown on page 40. A Whitehead 8-cylinder torpedo engine, Rijeka. Photo courtesy of Erwin Sieche. The Obry gear in a US Navy 18in Whitehead torpedo of 1898. 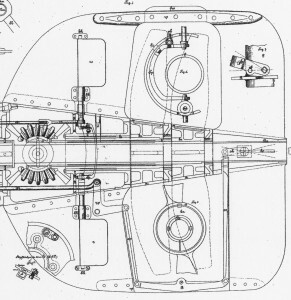 The internal parts of the Howell shown on page 48. 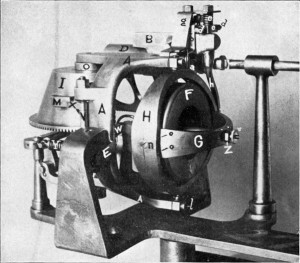 The Howell’s flywheel from page 49. 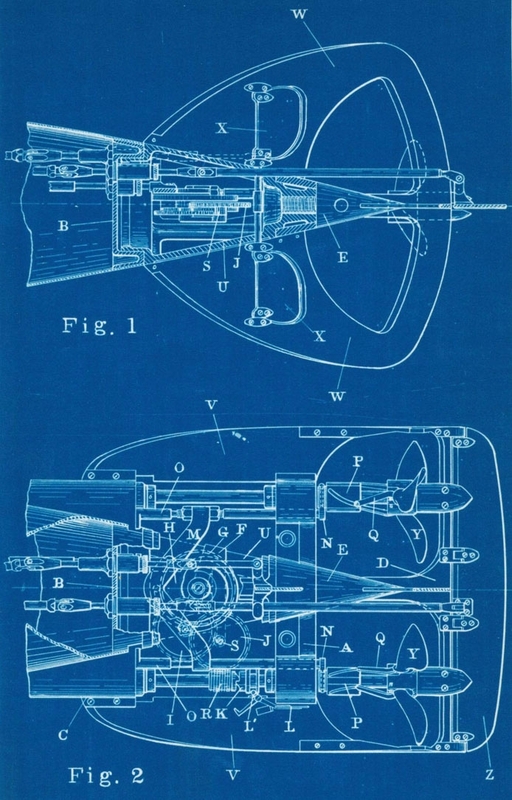 The Howell’s twin adjustable pitch propellers, from page 49. 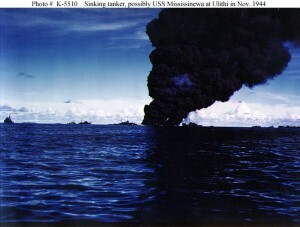 The pendulum inside Howell N° 24 lost by USS Idaho, compared with the official drawings. 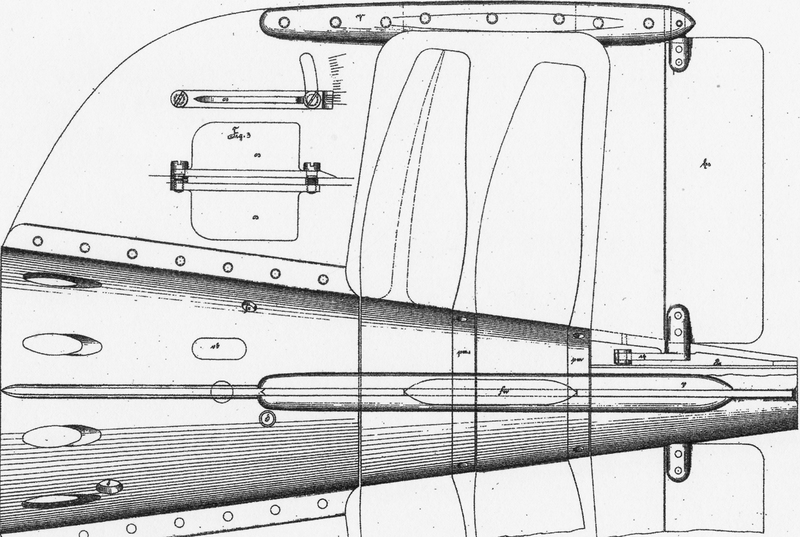 Detail from the plans of an Austro-Hungarian Navy Whitehead dated 1902, showing the vertical stabilisers. 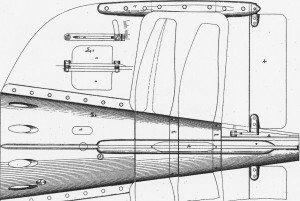 Because of the addition of contra-rotating two-bladed propellers, the rear vertical stabiliser is fixed, and is not in fact a rudder. 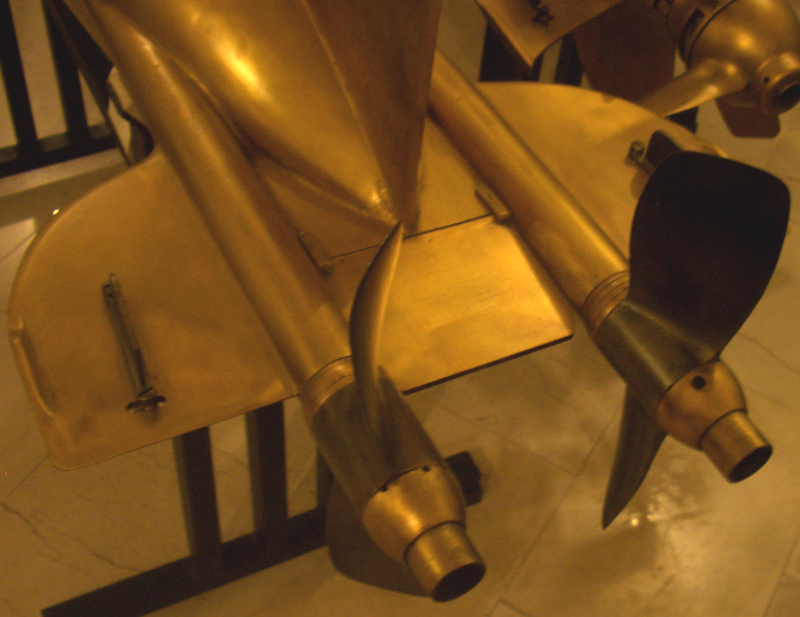 Directional changes are activated by the two smaller flaps in front of the propeller cavity, almost small enough to be classed as ‘trim tabs’ in aviation terms, giving only small changes of direction. Plan courtesy of Erwin Sieche. In contrast, the horizontal control surfaces are movable planes at the rear end of the torpedo, as presumably the depth-keeping control is more variable than the directional control. 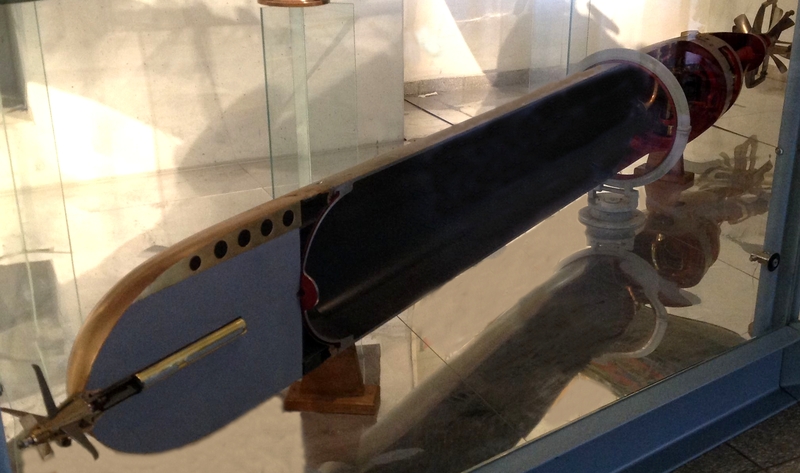 Note the small directional trim tab which can be set at the desired angle and fixed with a screw. 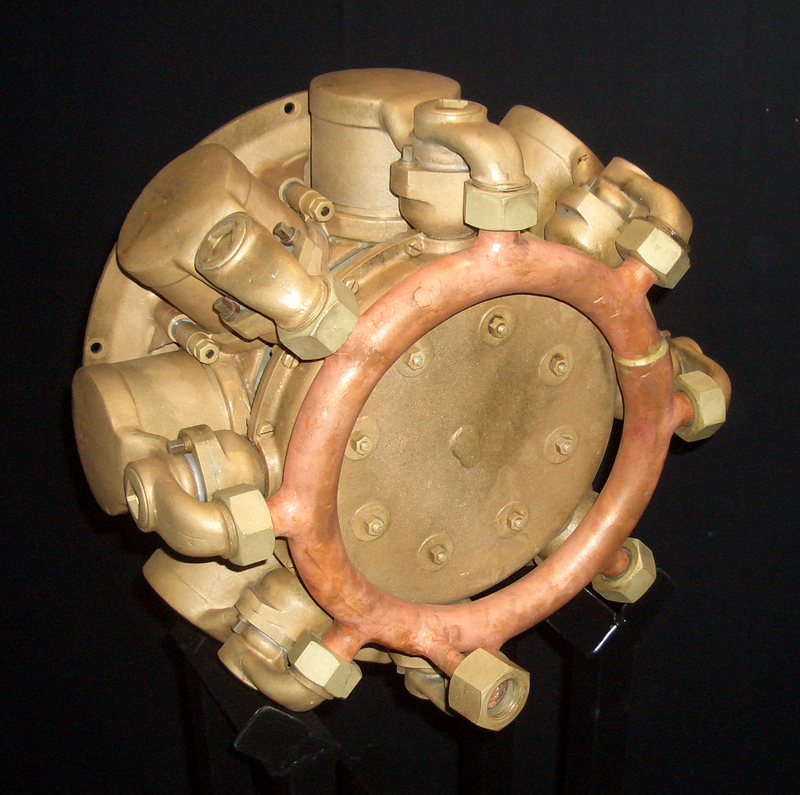 This would be used to correct any directional deviation discerned in the individual torpedo as the result of its test runs. Plan courtesy of Erwin Sieche. 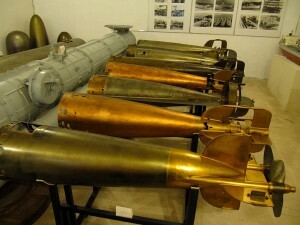 See also – the previous photo of the twin-prop torpedo in Split Naval Museum, where these features are clearly visible. 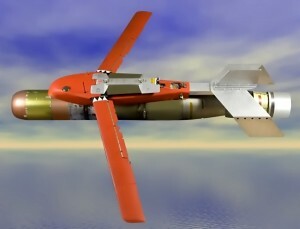 Colour version of the Mark 45 torpedo on page 71. Colour version of Spearfish on page 72. Colour version of the tail of Spearfish on page 72. Mark 54 as shown on page 75. Colour view of Russian Shkval on page 73. 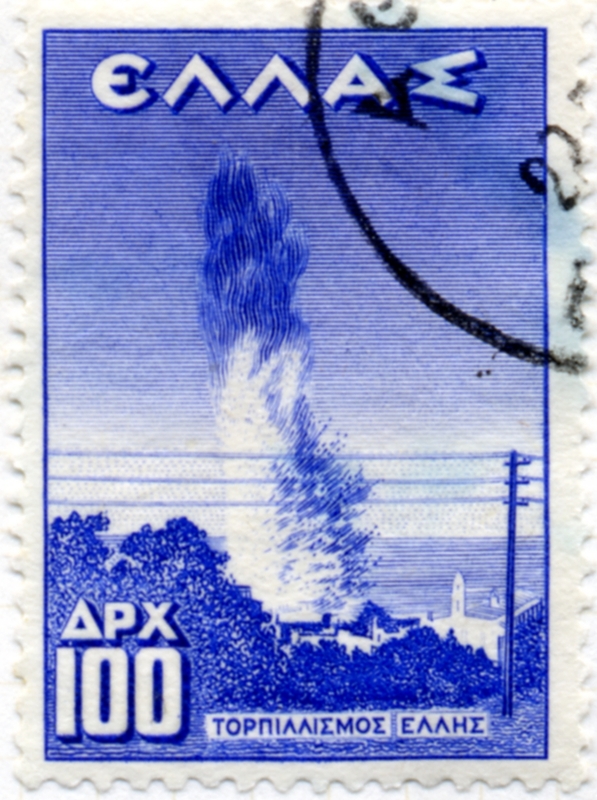 The tail of Shkval on page 73, showing the rocket nozzles. Colour version of ASROC on page 137. Colour version of the HAAWC ALA on page 137. 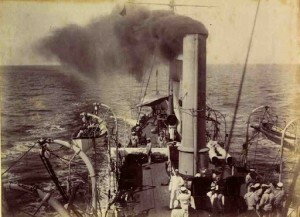 Torpedo Gunboat HMAS Boomerang prepares to launch Whitehead torpedoes. 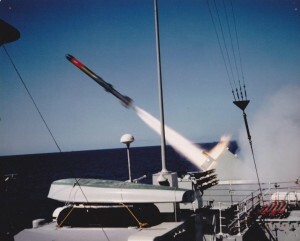 Torpedo launch from Boomerang. One only hopes she never lived up to her name when firing torpedoes. 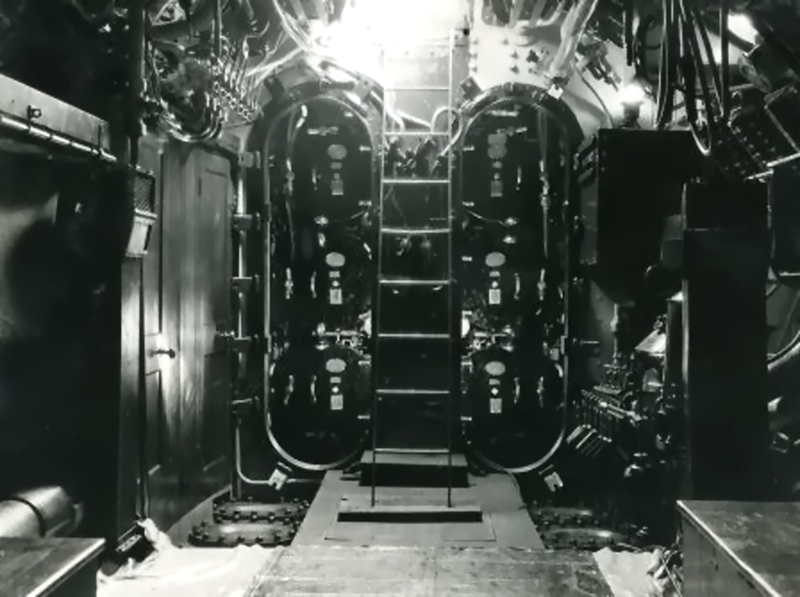 Tatra Class Austrian DD re-ammunitioning, including torpedoes. 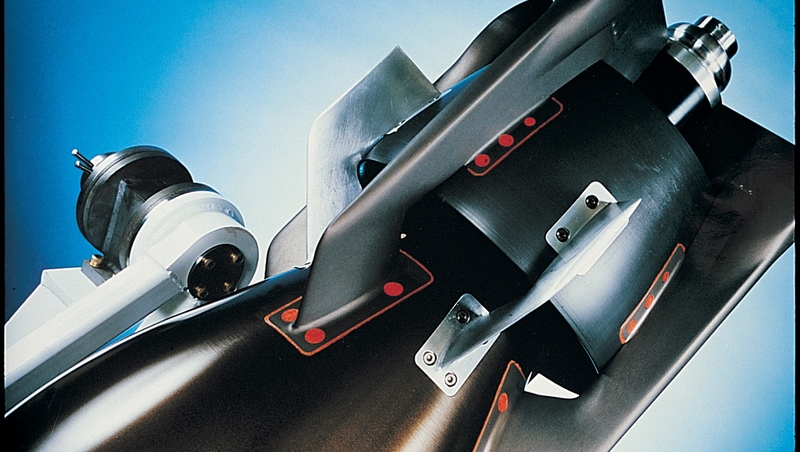 The twin torpedo tubes were manufactured by Whitehead, and the rear doors bear the company’s logo. 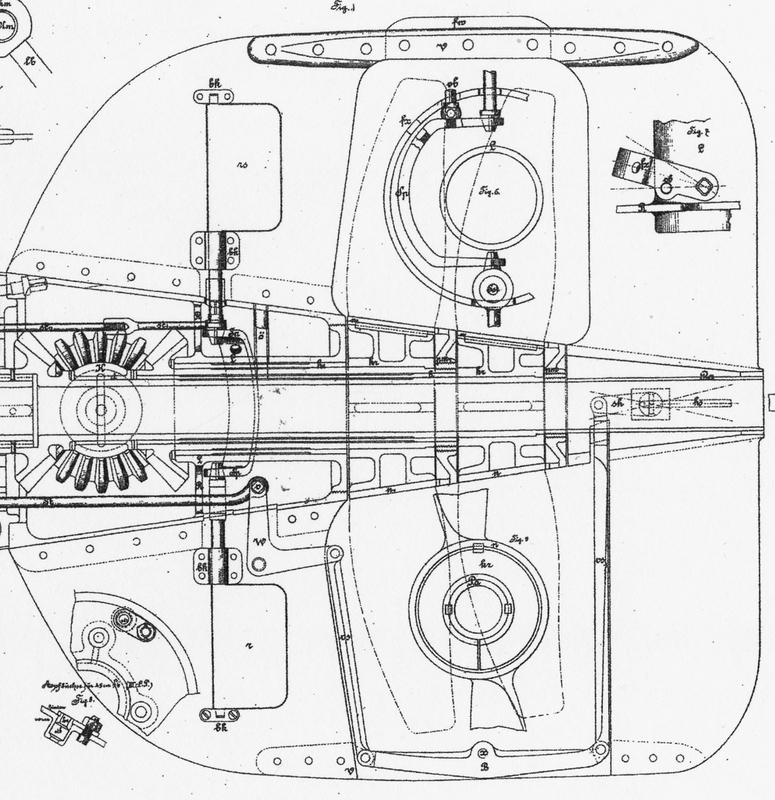 Note the trainer’s seat and wheel. Photo courtesy of Erwin Sieche. 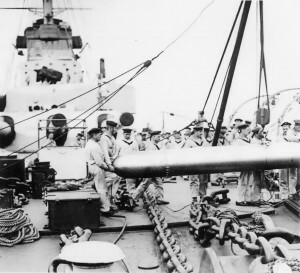 An Austrian Tegetthoff Class BB hoisting aboard a Whitehead to load, probably into her bow underwater tube. Photo courtesy of Erwin Sieche. 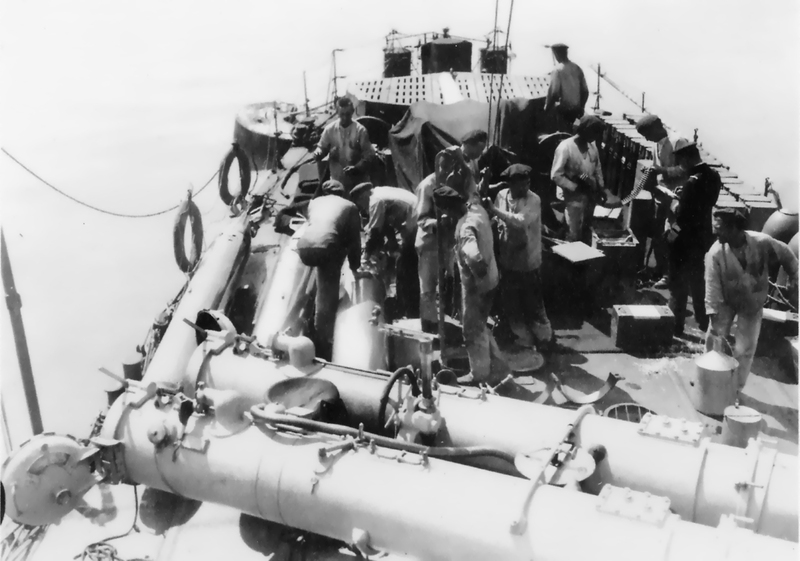 Torpedo maintenance on board HMNZS Leander. 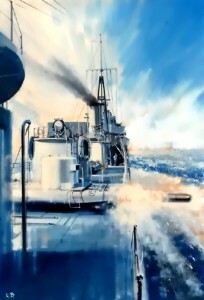 Colour version of the painting of HMS Khartoum on page 100. 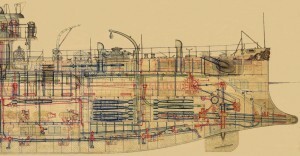 Colour version of the cutaway view of HMS Polyphemus on page 107. Inboard profile and plan of the French VTB of the late 1930s, showing the rear launch troughs for two torpedoes, just as on the RN CMBs. 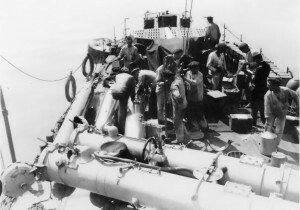 Two examples of the Simonot Device – described on page 119 – on the deck of the French submarine Papin, off the Dalmation coast in 1915. 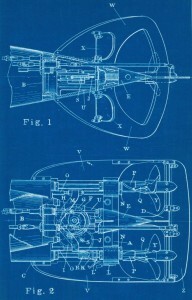 From “L’Illustration”. 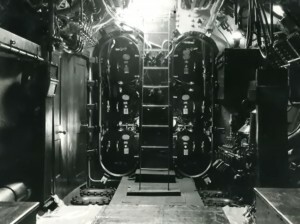 The six 18in torpedo tubes in the bows of an R-Class RN submarine. 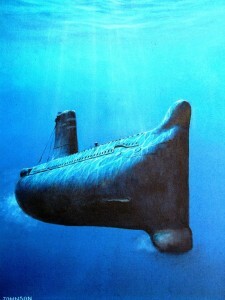 (Photo courtesy of the Submarine Museum). 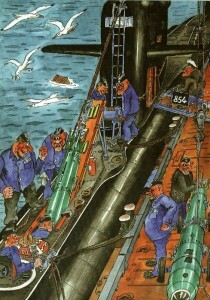 Modern Russian cartooon of loading torpedoes into a submarine. These sailors are obviously taking their work seriously. 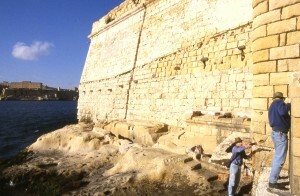 Colour view of Fort Ricasoli on page 139. The Howell launch ramp and the sealed-off launch opening, as shown on page 138. Colour version of the photo of the Torpedo Battery at Mali Brijun, shown on page 143. Aerial view of Oscarsborg fortress in Oslo Fjord. 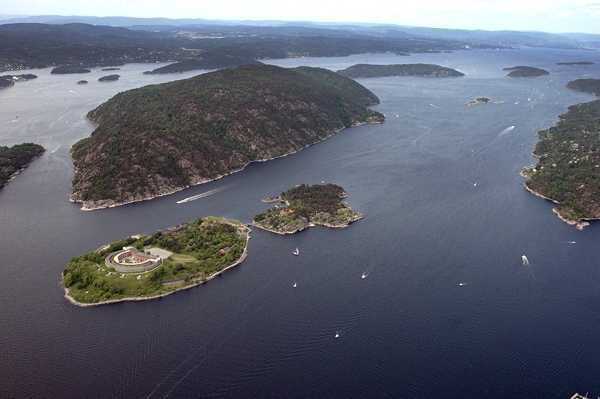 Kaholmen, the site of the secret torpedo base, is the island in the centre of the photo. 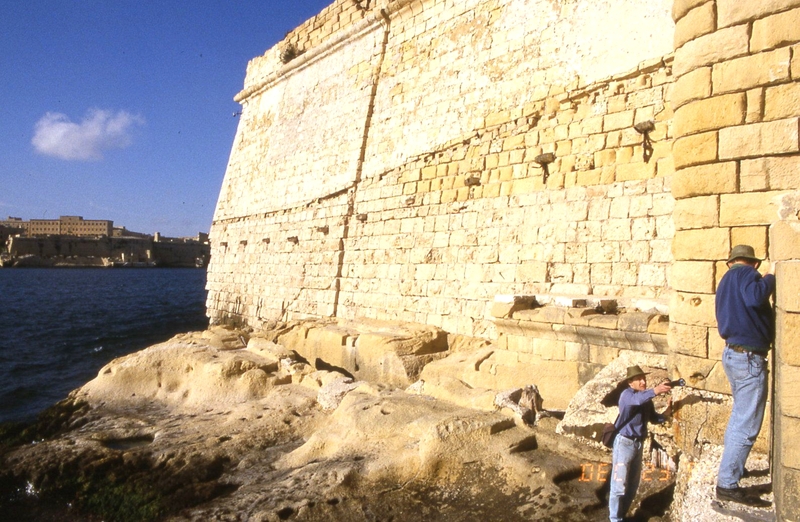 A colour view of Huáscar as shown on page 171. Japanese torpedo boats making surprise attack on Port Arthur, 8 February 1904. From Le Petit Journal, Paris, 21 February 1904. Shown on page 174. 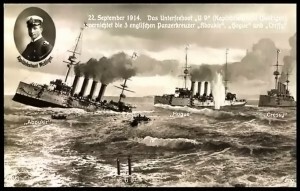 German postcard commemorating the sinking of Aboukir, Cressy and Hogue. Ken Marschall’s painting of Lusitania sinking. 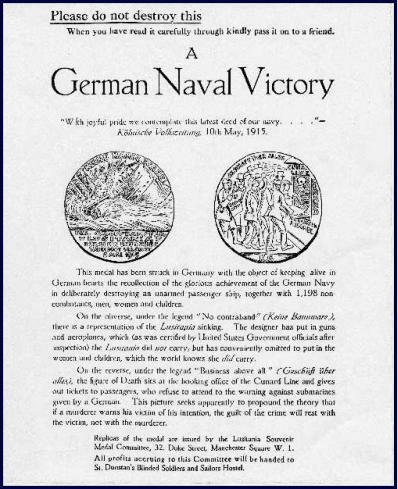 The propaganda leaflet accompanying British copies of the Goetz Medal shown on page 184. Rizzo escaping, as described on page 186. Mark Postlethwaite’s painting of the new heavy cruiser Blücher on fire in Oslo Fjord, hit by two 11in and many 5.9in shells, her steering connections severed and her hangar on fire. 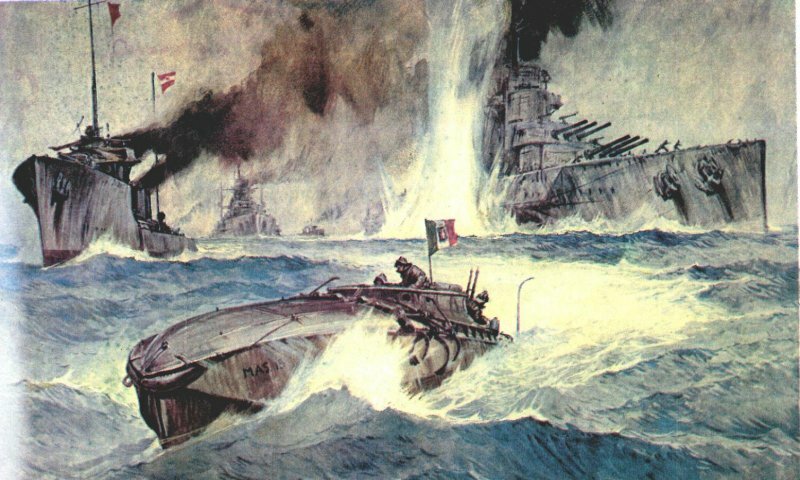 She is about to be struck by the two torpedoes launched from the underwater tunnels of the secret torpedo station, as described on page 190. Colour view of the Swordfish which torpedoed Bismarck. The Greek Victory stamp issued in 1946 to commemorate the sinking of the cruiser Helle as described on page 199. A drawing of Littorio, sunk at Taranto. 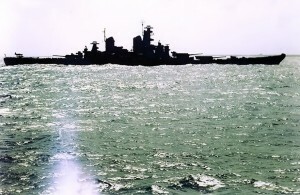 Colour version of the view of USS Idaho on page 203. 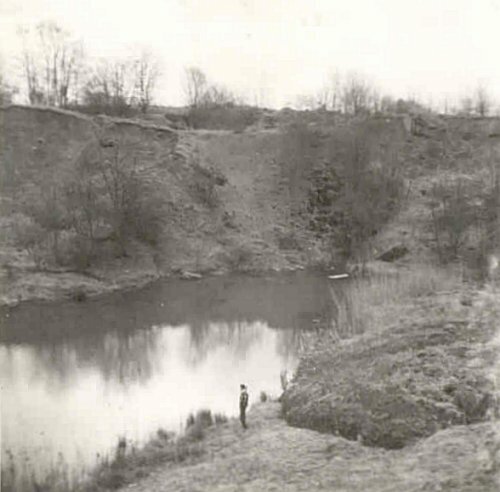 The lake on the site of the vanished ouvrage de Mercy, described on page 205. Captain Tim Johnson’s painting of a Daphne Class sub, from page 230. 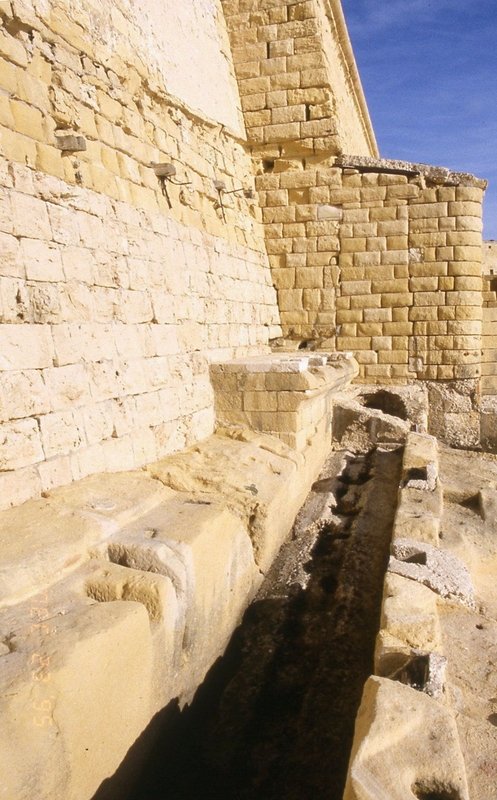 “A huge subject and one which I think the author has tackled really well. Altogether a really interesting history that has been well-thought-out in how the story is told, and profusely illustrated throughout with appropriate and well-captioned illustrations.” Reviewer: Robin Buckland in Military Modelling Magazine. “You’ve heard of kamikaze pilots but these poor fellows were kamikaze divers, the super secret “Crouching Dragons”….. In 1945! 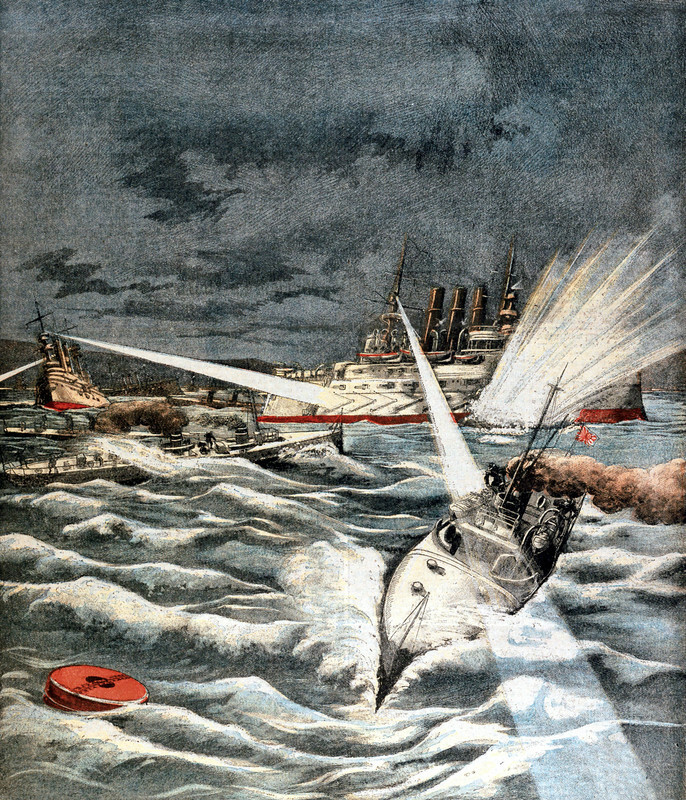 At a time when – one would have thought – the torpedo had long advanced from its crude early days of being (delivered by) harpoons, dragged by kites, or steered into its target by swimmers. If you don’t already know all of this, the first 20 pages of this book will have you palpitating. Branfill-Cook’s former professional life as an insurance underwriter will have shaped his ability to think in cost/benefit terms, and half a decade-worth of studying naval subjects has given him a commanding grasp of the existing literature. He offers this book as an encyclopedic overview and introduction to a vast topic, its main purpose being to combine a multitude of sources into a convenient one-stop reference work. 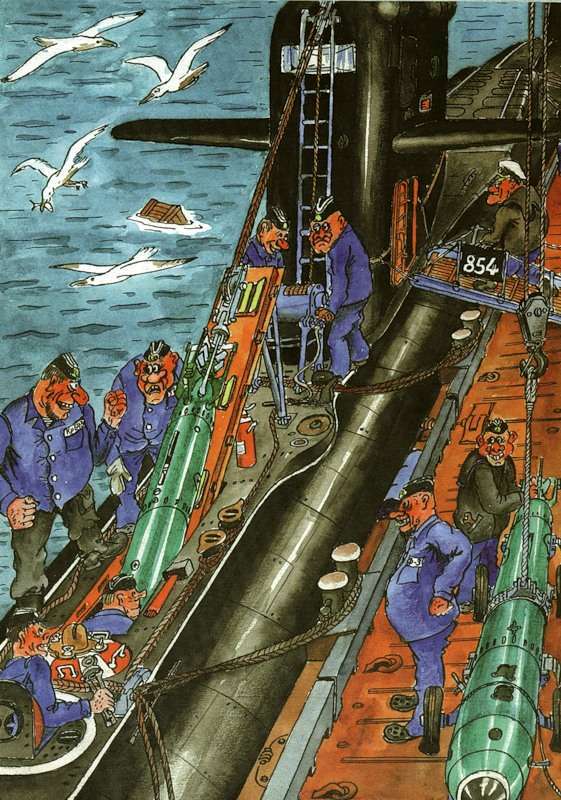 His focus is on the mobile type of torpedo…. 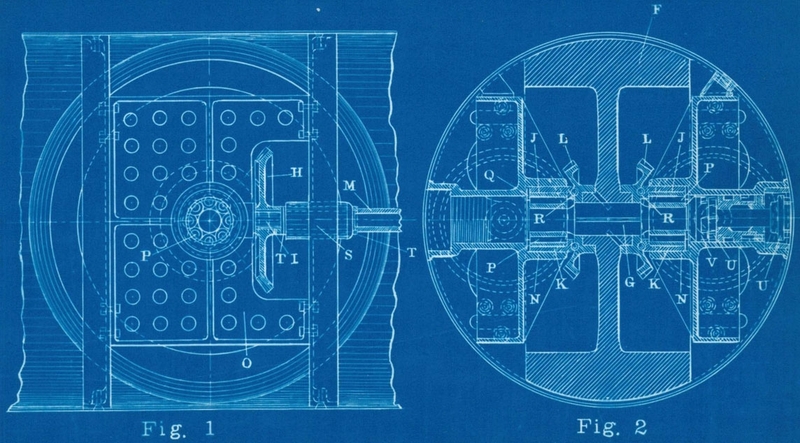 Although there are only a few basic types there are hundreds of different models and so to keep the narrative flowing, their pages and pages of specs have been relegated to an Appendix. Everything is thoroughly illustrated with drawings and photos … and the book will not fail to engage the reader’s imagination and impart an interest in something the proverbial man in the street has little occasion to think about – until it makes headline news and the fate of the world is in peril… [as in] 2010 when a South Korean corvette was sunk by what all the world believes to have been a North Korean fish.” Reviewer: Sabu Advani on speedreaders.info. “5 Stars. 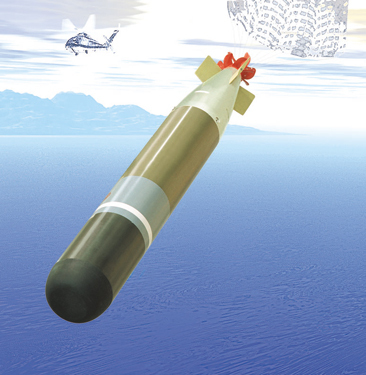 This is a good book on the history and development of a major weapon system. I rate it highly… As in other books by this publisher, the photographs are superb, and the research is excellent. 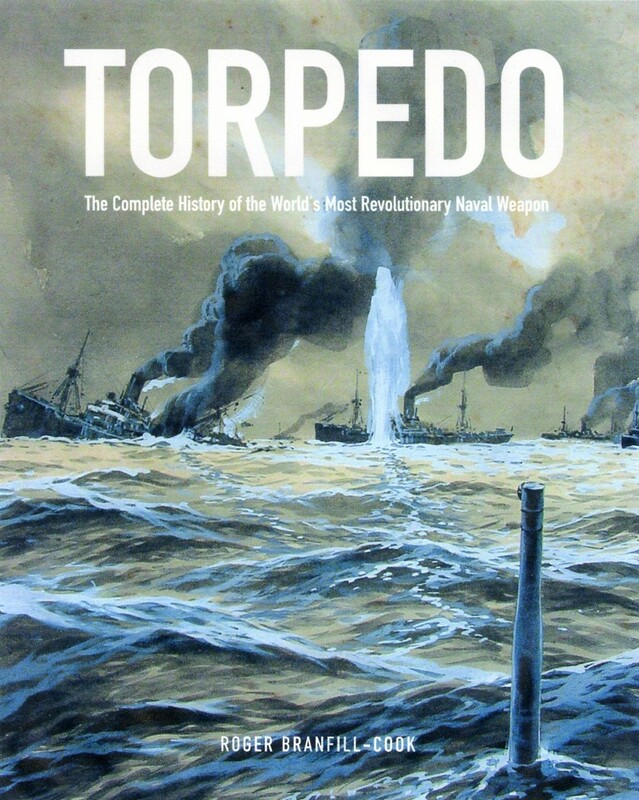 If you want to know about torpedoes, this is the book. Its coverage is remarkably inclusive.” Reviewer: Amazon customer lyndonbrecht. “5 Stars. 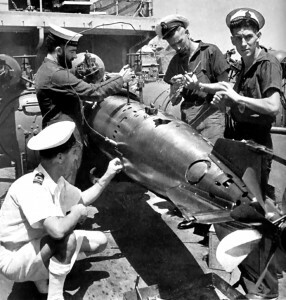 First-rate survey of torpedo technology and operational history. 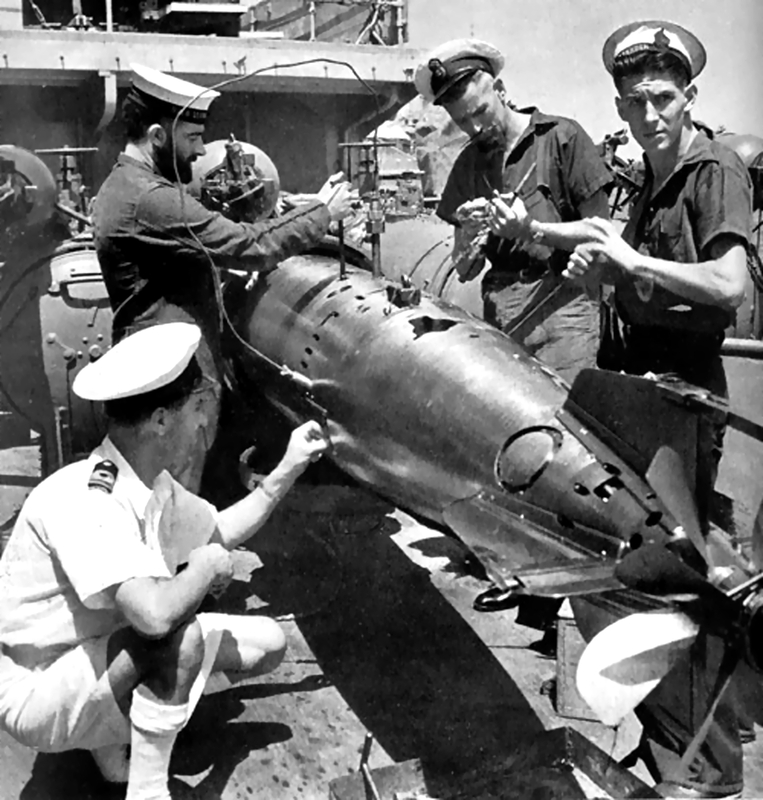 While this is a relatively small book (256 pages including Index), it does a very thorough job of covering the history of torpedoes, their delivery vehicles, and torpedo countermeasures. The writing is crisp and to the point, and it includes the best collection of torpedo photographs that I have ever seen. 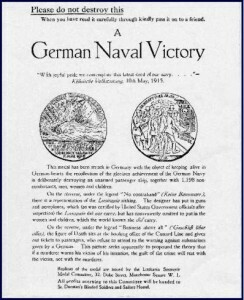 I am a big fan of naval history and I found this book a real “page turner”. The subject of torpedoes is an immense one. The author acknowledges in the book’s Introduction that a complete history of the torpedo would take thousands of pages. However, Branfill-Cook has done an excellent job of focusing on the key technologies and incorporating information from many sources, including the Web.” Reviewer: Amazon customer M. Biegert. “5 Stars. I don’t love this book like I love God or my wife. The “L” word is over-used these days. But, I have to say this book is the most exhaustive treatise I’ve ever seen on this subject. Since I am not an expert on torpedoes, I can’t say how exhaustive. But for me, where I am, it covers the subject more and better than anything else I have seen. Great text and superb illustrations!” Reviewer: Amazon customer J. Book. “5 Stars. 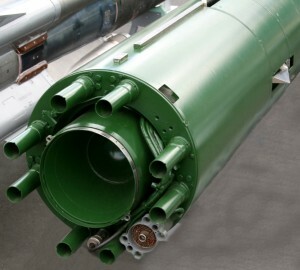 A lot of information about torpedoes’ history and their supporting equipment and use, [in the] air, in coastal batteries, and …on ships and submarines. 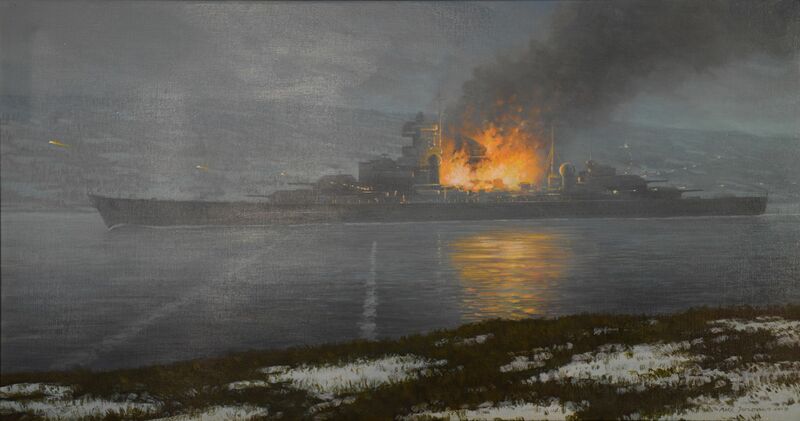 Also has some surprise history notes, a lot of battles using torpedoes that don’t get [the same] attention [as for] the major actions.” Reviewer: Amazon customer Richard M. Abramson.